WASHINGTON – Today, the U.S. Department of Housing and Urban Development makes $85 million available to state housing agencies to provide affordable supportive housing for extremely low-income persons with disabilities. This is the first time in the history of HUD’s Section 811 Supportive Housing for Persons with Disabilities Program that funding will be offered to state housing agencies that meet new eligibility criteria, including having a partnership with a state health and human services and Medicaid agency to provide essential support and services. The Notice of Funding for the Section 811 Project Rental Assistance was posted on Grants.gov today here. 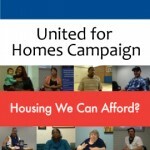 Entities have until July 31, 2012 to apply for funding, which is expected to provide housing for 2,800 extremely low-income persons with disabilities.